Who is HR Consulting Group, Inc.? HR Consulting Group, Inc. (HRCG) is an international Human Resources and Benefits Consulting Firm. HRCG was listed as one of the Top 25 Largest Consulting Firms by Employee Benefit News magazine. We do consulting, software development, network marketing, social media networking, and offer clients worldwide our expertise and consulting help with Direct Sales and Internet marketing. Rob J. Thurston, President -- Mr. Thurston is the President of HRCG. In addition to his official duties, he serves as a consultant to numerous corporations, insurance companies, and third party administrators. His consulting expertise is in the area of human resources, employee benefits and marketing. He is a national expert in the design and implementation of computer systems for interactive voice response (IVR) administration systems, including flexible compensation, enrollment/communicating benefits, 401(k) plans and health care cost containment. During this extensive experience in consulting, Mr. Thurston has served as vice president of marketing and new product development with Fred. S. James Consulting, a major third party administrator; and was part of task force to implement 401(k) and new benefits for IBM. Mr. Thurston is a member of the board of HRCG, Inc. and from 1988-2010 the TS Alliance, and from 1994-2010 the Endowment Fund Board of Directors (formerly the National Tuberous Sclerosis Association- NTSA). He was one of the very first human resources professionals in 1983 to receive the designation of an accredited executive in personnel (AEP) from the Society of Human Resource Management (SHRM). Since 1981 he has given seminars and presentations on human resources development with emphasis on leadership, ethics, and on wellness. He has published over 3 books, 4 videos, 20 tapes, and numerous articles in national and international publications. For 20+ years he was involved with the Wellness company called Melaleuca. He left Melaleuca in 2012 and since then he has been involved in the creation and design of the world's largest networking opportunities using Affiliate Marketing, Search Engine Optimization, Texting, Emailing, and Seminar Speaking for network marketing worldwide. In 2015 Thurston was inducted into the HR/Benefits Workplace Hall of Fame at the Wynn Hotel in Las Vegas. He joins only 59 former inductees (many of whom are deceased) for his 35+ years of experience in HR/Benefits. Rob Thurston was also elected and named President of the Workplace Benefits Association for 2016-2017. There have only been 16 Industry Leaders ever elected as President. Mr. Thurston received his B.S. in economics (Minor in Spanish) and holds an M.B.A. from Brigham Young University. He is listed in Outstanding Young Men of America (1987-88), Who's Who in America (1990), Who's Who in Finance (1991), Who's Who in Finance Worldwide (1993), Sterling's Who's Who Executive Edition (1995), and International Who's Who for Professionals (1999), Who's Who for Financial Professionals (2008), Who's Who for Latin America (2011), and many other honors and designations. Afifnium is an award winning CRM agency. Afinium’s innovative software helps companies to increase the lifetime value (ROI) of customer relationships and channel partners. Afinium SaaS software allows major corporations to piece together complex customer data records and real time customer market interactions from web, email, SMS, Call Center, or direct mail and create personalized and real time customer dialogue that influences behavior. The customer centric software can interpret and understand individual behavior and preferences, and instantly steer the conversation or transaction, using a combination of predictive signals and rules based processes. Afinium’s unique ‘closed loop’ customer approach allows continuous measurement of ROI, and can deliver millions of personalized marketing campaigns and interactive customer communications concurrently, including context based Video, Call Center, email, SMS, and individual web portals. The software has been created by experts in marketing, data analytics, and technology, with huge domain experience in financial services, gaming, and consumer marketing across a range of industries. Deep domain experience gives Afinium a significant competitive advantage when engaging with clients and channel partners. 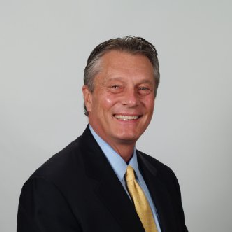 Prior to Afinium, Jim has worked as a consultant for 14 years and then as Vice President Brokerage Sales for several Medical Life Insurance Companies in Cleveland, OH and as President & CEO of Kentucky Home Mutual Life Insurance Company from 1991-1994. Jim was also the Vice President Brokerage Sales for BCBS of Kentucky from 1989- 1994. He began his career in insurance as the Director, Personal Insurance Marketing for MetLife from 1976 –1989. 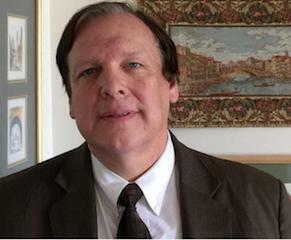 Vincent R. Ceriello, SPHR, President VRC Consulting Group -- San Anselmo, CA. VRC specializes in strategic and tactical planning to support the Human Resources, Financial, and Information Technology communities. He has held management positions at The Hay Group, Bank of America, and Ford Motor Company. Mr. Ceriello is a frequent lecturer on a variety of human resources and technology subjects for many professional associations and university management development centers. He has authored over 40 articles published in Personnel Journal [ Workforce ], Personnel News, HRMagazine, The Review [IHRIM], Employee Benefits News, and Human Factors Journal. Mr. Ceriello recently completed a term as a director of NCHRA, the largest SHRM affiliate in the US, where he is responsible for Technology and HRMS. He is also a member of International Human Resources Information Management [ IHRIM ], the Marin HR Roundtable, a chapter of NCHRA, and the Marin HR Forum. He teaches graduate level management courses at Golden Gate University, San Francisco State University, and San Jose State University. Mr. Ceriello conceived and developed HRMS / EXPO and HRMS Summit, two of the world's largest conferences and trade shows dedicated exclusively to the HRMS industry. From 1993 to 1998, over 40,000 people attended these events designed to showcase HRMS software and services from over 250 HRMS vendors, consultants, Internet service providers, and system integrators. He authored the first HRMS textbook: HUMAN RESOURCE MANAGEMENT SYSTEMS: Strategies, Tactics, and Techniques first published in 1991 and co-authored, with Dr. Michael Hawkins, a second book: ALIGNING HRMS WITH CORPORATE STRATEGY, published in 1997. Mr. Ceriello received the Bachelor of Arts [ Psychology ] and Masters in Business Administration from the University of Colorado. He was awarded the SPHR -- Senior Professional in Human Resources -- designation in 1997 and was recertified in 2000. Michael W. McDonald is Founder and President of HRMS Synergy, Inc., an independent HRMS consulting firm based in Dallas, TX. HRMS Synergy is an affiliate of the VRC Consulting Group. With more than 25 years experience in software applications systems, Mr. McDonald is one of the most senior IT consultants in the country. Prior to starting HRMS Synergy, Mr. McDonald was Vice President and General Manager of Intime Systems International and The Consulting Team, a leading provider of HRIS consulting services. With Intime and TCT, he directed numerous large scale HRMS implementation and strategic planning projects, for clients that had acquired systems from Dun & Bradstreet, ADP, Tesseract, Genesys, and PeopleSoft. Since 1984, he has concentrated on Human Resource Management Systems first as Director of National Accounts [1984 -1988] for a major HRIS software vendor and then as co-founder and managing director [1988-1995] of The Implementation Team Inc., an HRIS consulting company. Prior to 1984, Mr. McDonald held senior management positions with two leading software companies. In addition to providing consulting services to many leading organizations, he is co-author of How to Attain Your HRMS Vision, CCH, 1999. He is a member of the King's College Advisory Council, serving the McGowan School of Business, an Adjunct Professor of HRIS at the University of Dallas, and a Vice President of the Advisory Council of Our Lady of Perpetual Help Elementary School. Mr. McDonald's extensive presentation and publication references include more than 10 articles in HR/PC Quarterly, Commerce Clearing House, and The Review. He has also developed and/or led seminars and workshops at several Annual Payroll Management Forum & Trade Shows, HRMS Summit, HRMS/EXPO 95 and 96, and the HRIS International Conference and Trade Show [Sydney, Australia]. Mr. McDonald earned a BS degree in Data Processing at King's College, an MBA degree from Rutgers University Graduate School of Business and an Executive MBA from the University of Notre Dame. He is an active member of the American Management Association, IHRIM and ASPM. HRMS Synergy and VRC have collaborated on several projects, including: Fujitsu, City of Redwood City, and City of Tacoma. E. Richard Packham is Vice President, Administration/Human Resources, HRCG, Inc., which is based in Provo, Utah. He is the senior resource for HR including: Management Development, Human Resources Management Systems (HRMS), HR Audits, and Administration. HR Consulting Group currently maintains an office at Ponce Inlet, FL. Management Development - Using management training to develop competencies in selection, planning/review, assessment of potential, and succession. The HR function becomes a major component in the executive decision making process and in organizational planning. Training Programs - developing high performance work teams to resolve work problems on the spot and to build "Family" Groups. Actual increases in skills and in productivity due to teamwork and "Family" Groups. Strategic HR Planning - Linking the Human Resources function and activities to the strategic/business plan. Develops measurable criteria for performance. Productivity Enhancement - Using HRMS audit techniques, an analytical approach evaluates current HR systems and productivity and provides detailed recommendations for improvement. People productivity is audited. He has been Executive Vice President and / or Senior Executive for several major international corporations: Dow Chemical, Alabama Bancshares, and Frameworks, where he has directed HR functions. Mr. Packham has a Masters in Business Administration and has taught graduate classes. He is author of more than 10 journal articles and is currently a member of the International Human Resources Information Management [ IHRIM] society. Oliver A Nina is a Web consultant for HRCG. He received a BS and MS in Computer Science from Brigham Young University.